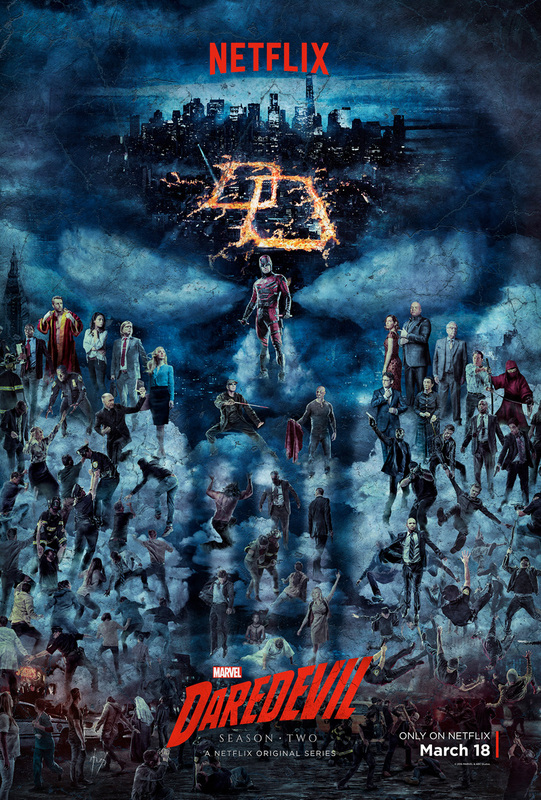 Marvel Studios and Netflix released a 1 minute, 30 second teaser trailer for the upcoming season of Daredevil. The second season of the critically acclaimed Netflix original series, set in the Marvel Cinematic Universe, will premiere on March 18 2016. After defeating Wilson Fisk, defense attorney Matt Murdock (Charlie Cox) continues to live his double life as Daredevil. However, he faces a new adversary in Frank Castle/The Punisher (Jon Bernthal) and the return of an old girlfriend – Elektra Natchios (Elodie Yung). Season 1 regulars Karen Page (Deborah Ann Woll), Foggy Nelson (Elden Henson) and Claire Temple (Rosario Dawson) will return this season. According to series creator Drew Goddard, who is acting as a series consultant this season, year two will be “adult…darker, dirtier” due to the freedoms that Netflix allows as opposed to broadcast television. If you’ve seen Jessica Jones, you know that Marvel isn’t afraid to push the limits. Doug Petrie (Buffy the Vampire Slayer, Fantastic Four (2005), Harriet the Spy) and Macro Ramirez will serve as this season’s showrunners, replacing Steven S. DeKnight.